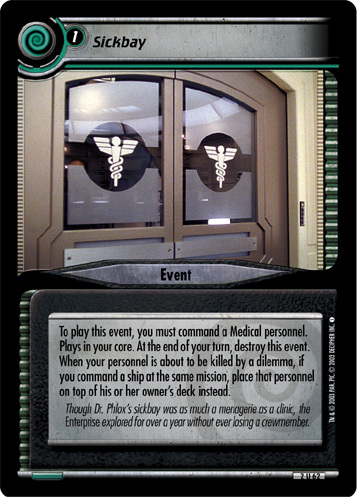 To play this event, you must command a Medical personnel. Plays in your core. At the end of your turn, destroy this event. 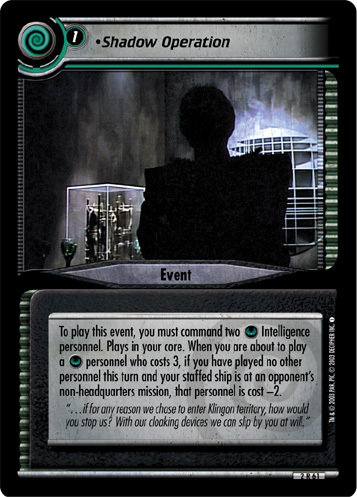 When your personnel is about to be killed by a dilemma, if you command a ship at the same mission, place that personnel on top of his or her owner's deck instead. 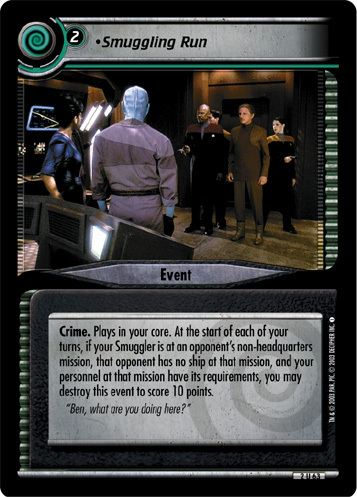 Though Dr. Phlox’s sickbay was as much a menagerie as a clinic, the Enterprise explored for over a year without ever losing a crewmember.